In September, bookstore sales rose 6.8%, to $1.1 billion, compared to September 2014, according to preliminary estimates from the Census Bureau. This marked a continuation of the gains through most of the year, excluding August, when sales were down. For the year to date, bookstore sales are up 0.8%, to $8.191 billion. Total retail sales in September rose 2.3%, to $430.2 billion. 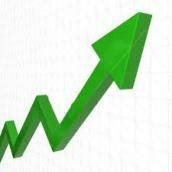 For the year to date, total retail sales have risen 2.1%, to $3,834 billion. Germany's Federal Cartel Office has begun an investigation into the long-term agreement under which Apple buys audiobooks from Amazon's Audible subsidiary for sale on Apple's iTunes store, Reuters reported. In a statement yesterday, Cartel Office chief Andreas Mundt said, "The two companies have a strong position in the digital offering of audiobooks in Germany. Therefore, we feel compelled to examine the agreement between these two competitors in the audiobooks in more detail." Last month, the Boersenverein--the German publishers, wholesalers and booksellers association--filed a formal complaint with the Cartel Office stating that Amazon and Audible are building a monopoly in the German audiobooks market and using their market position to force "unreasonable conditions" on publishers for the marketing of audiobooks. The association filed the same complained with the European Commission. In the complaint, the association said that 90% of audiobook downloads in Germany are made via Amazon, Audible or iTunes. The E.U. is already investigating Amazon's highly beneficial tax arrangements with Luxembourg and whether Amazon's e-book contracts with publishers prevent publishers from offering better deals to other retailers. For Sale: The Bookshelf, Truckee, Calif. 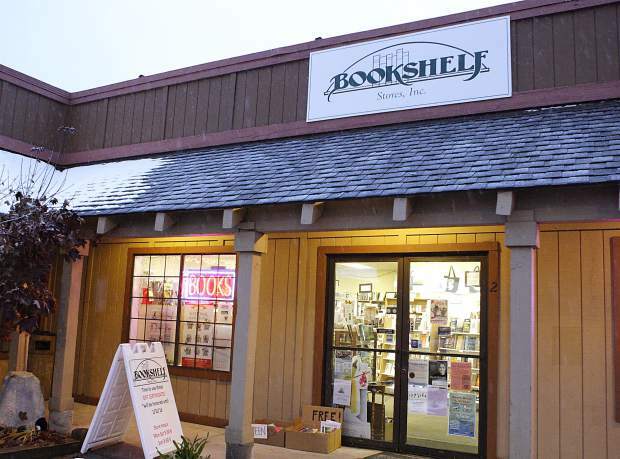 The Bookshelf, Truckee, Calif., is for sale, the Tahoe Daily Tribune reported. After 23 years of ownership, Debbie Lane is "ready for a change," she told the newspaper. "I feel like I need to do something a little different. Twenty-three years, it's enough.... I think somebody else could do a great job." She added that she intends to travel with her husband and visit family. Excluding inventory, the store is listed at $55,000, and the broker said there have been eight to 10 inquiries. The Bookshelf's lease is up January 31, 2016. If the store isn't sold by then, Lane said she will close it. Two years ago, the Bookshelf said it might close because sales had fallen 25%-30% after a move. Customers rallied to save the store, raising $6,560 in an online campaign that had a $25,000 goal. And a 10th-grade English class at Truckee High School organized a community rally that boosted sales. Since then, Lane told the Daily Tribune, business has been "O.K." 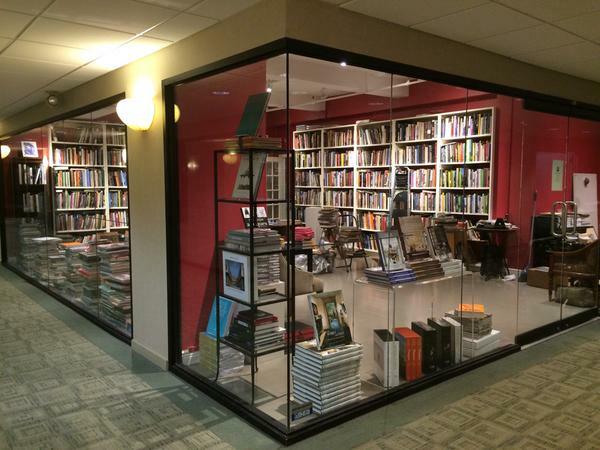 A year after it moved into new quarters in the New York Design Center at 200 Lexington Avenue in New York City, Potterton Books, a bookstore with a focus on graphic design, art books, fashion and rare and out-of-print books with headquarters in England, is closing. An e-mail about the move said Potterton Books "is re-structuring to better serve the needs of our American and international clientele, and is closing this location." The 1,100-square-foot store on the fourth floor of the New York Design Center has been holding a sale of 15%-25% on all titles in stock through yesterday. Potterton said it will be present at several shows in the U.S., including the New York Art, Antique & Jewelry Show at the Park Ave. Armory November 20-24; the Palm Beach Jewelry, Art & Antique Show in Florida February 10-16; and Surtex at the Javits Center in New York City, May 15-17. In July 2014, Potterton Books was forced to move from its original location at 979 Third Avenue, where it had opened in 2001, after the landlords of that building did not want to renew the lease. 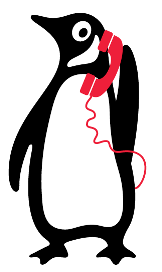 For the second year in a row, Penguin is operating the Penguin Hotline, a holiday book advisory service for consumers modeled on the Butterball Turkey Talk-Line. Hundreds of Penguin employees will be on call to recommend books to anyone who is trying to find the right book to give as a gift. The advisers will recommend a range of titles by all publishers, not just from Penguin Random House. The hotline opened yesterday and will operate through December 21. In contrast to last year's inaugural effort, the hotline is starting earlier (last year it launched on the Monday after Thanksgiving), and the company is making a more concentrated effort to spread the word on social media. The hotline has an expanded website and did more research during the year so it can increase the number of requests it can handle. Last year, requests ranged "from a Dad interested in conspiracy theories and aliens to a cousin with a passion for shrimp farming; from a good friend going through a rough break-up to a woman who wondered what to buy for the man who bagged her groceries." Penguin said the response from users was "overwhelmingly positive." One said, "I was somewhat skeptical when I submitted the information, but am really surprised and thrilled to be given such interesting titles. It's going to be make it so much easier to fill my son's stocking this year!" Chronicle Books has launched its fourth annual #GiveBooks campaign in partnership with First Book to promote literacy and provide books to kids in need. Authors, booksellers, publishers and the general public can share their love of reading on social media channels using the hashtag #GiveBooks, which also encourages shoppers to support local bookstores and give books as gifts this holiday season. The campaign is kicking off with a donation from Chronicle of 30,000 copies of the board book series Star Wars Epic Yarns by Jack and Holman Wang through First Book. Kyle Zimmer, president and CEO of First Book, said #GiveBooks "engages a community bound by books to share a gift that keeps on giving--a love of reading. The fact that children in need will receive and treasure 30,000 new books makes this delightful holiday campaign more joyous and enormously worthwhile." Chronicle Books' children's publishing director Ginee Seo added that the publisher is "delighted to work with First Book to give books to families in need." New for 2015 is a partnership Gramming for Good, which connects designers with nonprofits to raise money and awareness for a variety of social causes. Gramming for Good will encourage its network of high-profile Instagrammers to post with the hashtag #GiveBooks throughout the campaign. The look of this year's campaign was designed by Steve McDonald, illustrator of Chronicle's hit adult coloring book, Fantastic Cities. As #GiveBooks is shared on social media, an image of a bookshelf will be colored in on the website. Visitors to GiveBooks.co can also download a coloring sheet depicting a classic indie bookstore. Books of Wonder, New York City, hosted the launch for Sarah Beth Durst's 10th book, The Girl Who Could Not Dream (Clarion). Bruce Coville (Diary of a Mad Brownie) and Durst did a reading, followed by a conversation about the book, a q&a and signing. Pictured: Anne Hoppe, associate v-p, publisher, of Clarion Books, Coville and Durst. "In the City of Literature, Prairie Lights is the top pick in this category once again. The store is known for a diverse selection of books for adults and children, and for hosting readings by notable authors. 'Live from Prairie Lights' is an internationally known readings series, featuring some of the best up-and-coming and well-established authors and poets from all over the globe. The readings are presented before a live audience and streamed over the Internet. Check out 'Paul's Corner' on the website for unique selections from book buyer Paul Ingram." 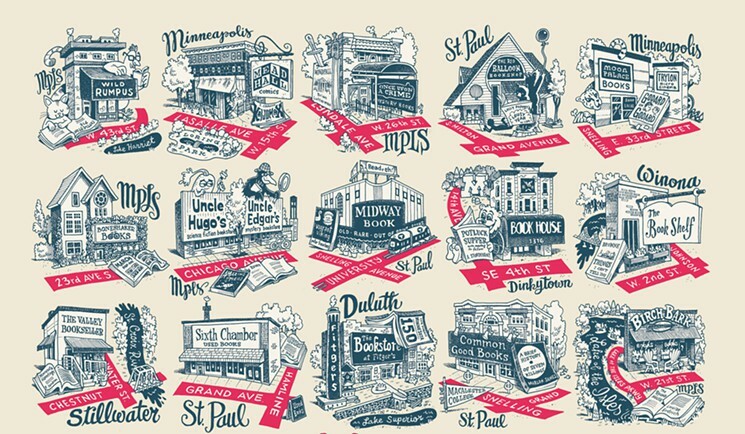 Illustrator and cartoonist Kevin Cannon's "most popular piece of art thus far is a newly released poster of his Minnesotan bookstore drawings," City Pages reported, noting that at the beginning of October, a woman Cannon was seeing went to Wild Rumpus Books in Minneapolis for the first time. "She called me and raved about it, so as a gift to her, I drew a little drawing of the bookstore," he said. Cannon then decided to make bookstores his focus for Inktober, an October event in which "artists are challenged to create new ink drawings daily and to post them on social media," City Pages wrote. He wasn't initially certain there would be enough Minnesota bookstores to fill the month, so he asked social media for help. "People just flooded me with all these great ideas for Twin Cities bookstores and stores in Duluth and Stillwater, places I hadn't been to," he said. "It was an eye-opening experience." Not only did the bookstore poster sell out its first run of 100 prints--with a second run on order--but Cannon "continues to receive e-mails from bookstore owners who want their businesses depicted in his drawings, too. 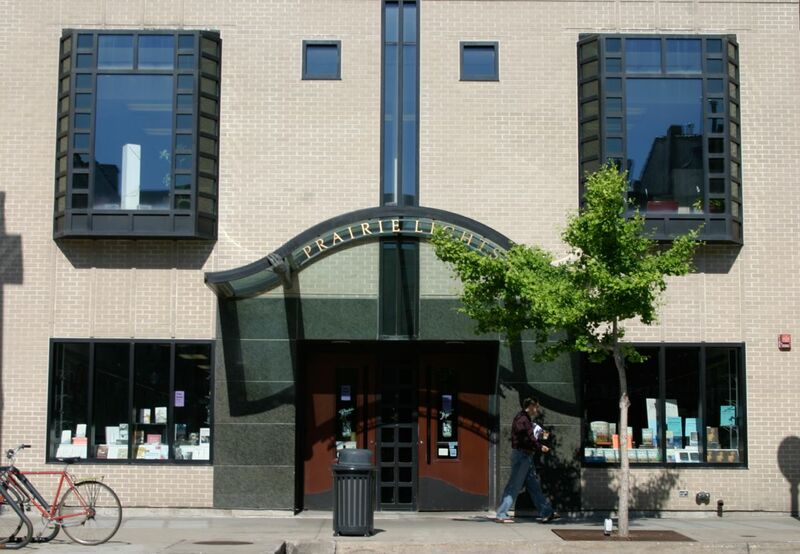 If he can get 30 more bookstore suggestions, he will likely do a second poster," City Pages said. Publishers Group West will handle sales and distribution for children's author and illustrator Cornelia Funke and her publishing house Breathing Books for both the U.S. and Canada. The first Breathing Books title PGW will distribute is The Golden Yarn, the third in Funke's Reckless series, which will be published on December 1. Founded earlier this year by Funke and Mathew Cullen (co-founder of Mirada Studios, which produced a MirrorWorld app in 2013), Breathing Books will publish two to four titles per year, including a print version of the MirrorWorld app, with its art and short stories; The Book No One Ever Read, the first picture book written in English by Funke and illustrated by her; and a graphic novel sequel to her Dragon Rider. Breathing Books will also re-launch Funke's Pirate Girl (illustrated by Kerstin Meyer), Ghosthunters series, and all of her other picture books, which are now out of print. Julia Fleischaker has been promoted to director of marketing and publicity. She was formerly publicity director. Before joining the company in 2013, she worked at Penguin. Chad Felix has joined the company as manager of direct sales and library marketing. He was formerly a bookseller at WORD bookstore and digital coordinator doing social media for the New York Public Library. Ena Brdjanovic has joined the company as director of digital marketing and editor of Melville House's blog, MobyLives. She was formerly a digital marketing coordinator at HarperCollins. Kait Howard has joined the company as a publicist. Howard was formerly a publicist at Thames & Hudson's New York office. Vanessa Navarrete has joined the company as an associate sales manager/Independent Specialty. She previously worked at Perseus as gift sales assistant manager. Emily Cervone has joined the company as a trade sales representative, New England. She previously worked in the field sales department at Houghton Mifflin Harcourt. Chelsea Masquelier has joined the company as a mass market sales assistant. Ksenia Winnicki has joined Tor Books as senior publicist. She was formerly publicist at Simon and Schuster Children's Publishing and earlier worked at Macmillan Children's Publishing Group. Book Trailer of the Day: I Love You Already! I Love You Already! (HarperCollins) by Jory John and Benji Davies, the creators of Goodnight Already! Julianne Moore will team up again with writer-director Todd Haynes (Still Alice) for his adaptation of Wonderstruck by Brian Selznick (The Invention of Hugo Cabret). Deadline.com reported that Moore, who "got an Oscar nomination when she worked with Haynes on Far From Heaven," is "about to open large" in The Hunger Games: Mockingjay--Part 2. "With pre-production currently under way and production set to start in early 2016," Universal Studios will shoot the Fifty Shades of Grey sequels--Fifty Shades Darker and Fifty Shades Freed--back-to-back with James Foley directing, Variety reported. Jamie Dornan and Dakota Johnson return as stars in the movie adaptations of E.L. James's bestselling novels. Fifty Shades Darker is scheduled for release on February 10, 2017, while Fifty Shades Freed will be unveiled in theaters February 9, 2018. Fox & Friends: Burt Reynolds, co-author of But Enough About Me: A Memoir (Putnam, $27.95, 9780399173547). He will also appear on Access Hollywood. Diane Rehm: Adam Levin, author of Swiped: How to Protect Yourself in a World Full of Scammers, Phishers, and Identity Thieves (PublicAffairs, $24.99, 9781610395878). Charlie Rose: Garth Risk Hallberg, author of City on Fire (Knopf, $30, 9780385353779). Conan: John Cleese, author of So, Anyway... (Three Rivers Press, $16, 9780385348263). The Daily Show: Ted Koppel, author of Lights Out: A Cyberattack, A Nation Unprepared, Surviving the Aftermath (Crown, $26, 9780553419962). The Late Late Show with James Corden: Rainn Wilson, author of The Bassoon King: My Life in Art, Faith, and Idiocy (Dutton, $26.95, 9780525954538). Languages have been shaped by geography, wars, political ideologies and policies, and their proximity to other languages. 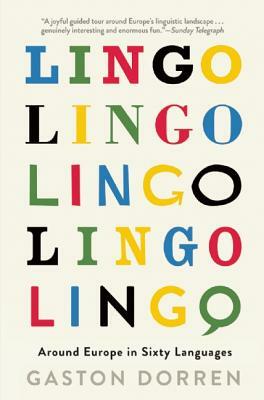 In Lingo: Around Europe in Sixty Languages, his first book translated into English, Dutch linguist and journalist Gaston Dorren offers what he calls "an amuse-bouche" of European language and linguistics, "a guidebook of sorts, but in no sense an encyclopedia." Quirks of particular languages occupy some of his chapters: the profusion of belittling diminutives for women in Italian; awkward counting systems; the linguistic effects of mountains and the "astonishingly ornate" word forms of Welsh. In others, Dorren uses one language to illuminate a broader topic, such as the ongoing disappearance of grammatical cases across Europe, or the linguistic concept of "ergativity." At the end of each chapter, he lists words that have come into English from this particular language, and a useful word from it that has no English equivalent, such as German's "gönnen... the exact opposite of 'to envy': to be gladdened by someone else's fortune." For those interested in learning more, Dorren lists 10 other books that dig deeper into many of his subjects. Dorren is an enthusiastic polyglot who can speak six languages and read nine more, and although he sees many ways in which Europeans could overcome some of their linguistic differences, much of his book tells the story of a culturally fragmented collection of peoples devoted to staying that way. For example, he notes that there is no such thing as Norwegian, only regional dialects and four written forms "ranging from 'moderate' (more Danish) to 'radical' (less so)." Two of these written forms are official. Both are taught in their schools, including the two sets of spellings. "There are even Norwegian-Norwegian dictionaries." It seems that Norway is far from alone in this degree of internal linguistic controversy, and if anything, languages that were dead or gasping their last are now being revived all over Europe. "Whereas the political map is a mass of solid monochromatic blocks, the languages of the continent create something that's more like a multi-colored mosaic in many places, while in other regions it resembles a floor that's been sprinkled with confetti." French and German have their chapters in Lingo, and so do Occitan, Arpitan, Ladin and Manx. Shelf Talker: The histories, quirks and influences of 60 European languages are touched upon in brief entertaining essays by Dutch journalist and linguist Gaston Dorren.